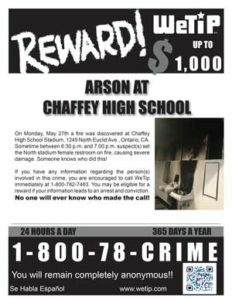 Arson at Chaffey High School | WeTip, Inc.
Chaffey JUHSD, CA... On Monday, May 27th a fire was discovered at Chaffey High School Stadium, 1245 North Euclid Ave., Ontario, CA. 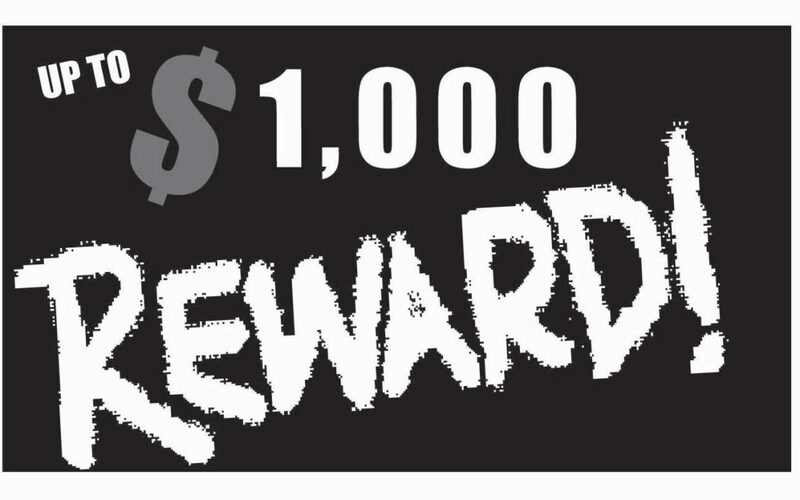 Sometime between 6:30 p.m. and 7:00 p.m. suspect(s) set the North stadium female restroom on fire, causing severe damage. Someone knows who did this!